This downloadable item is a TTF or OTF font file. While this font may work in other software programs, it can only be guaranteed to work in Silhouette Studio®. 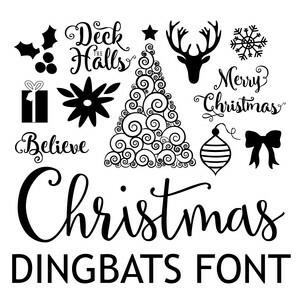 Christmas Dingbats Font by Echo Park Paper Co.